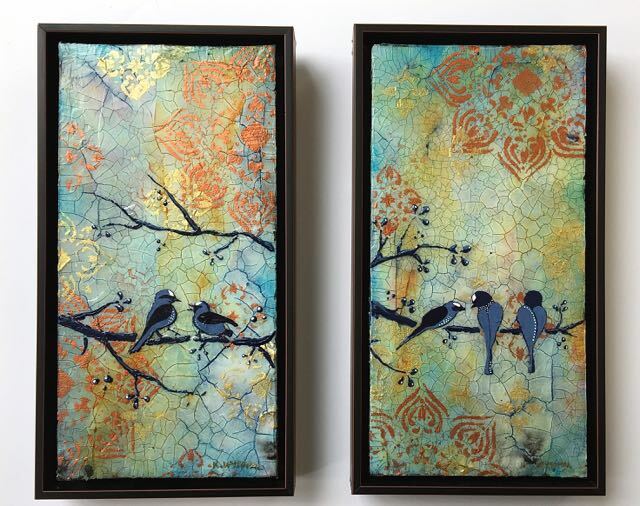 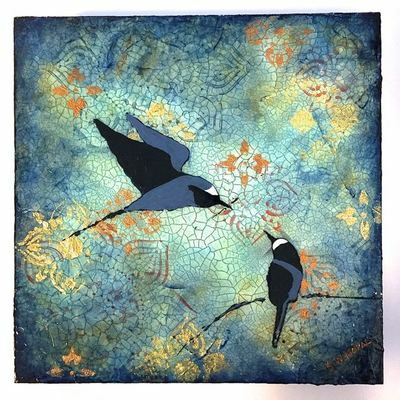 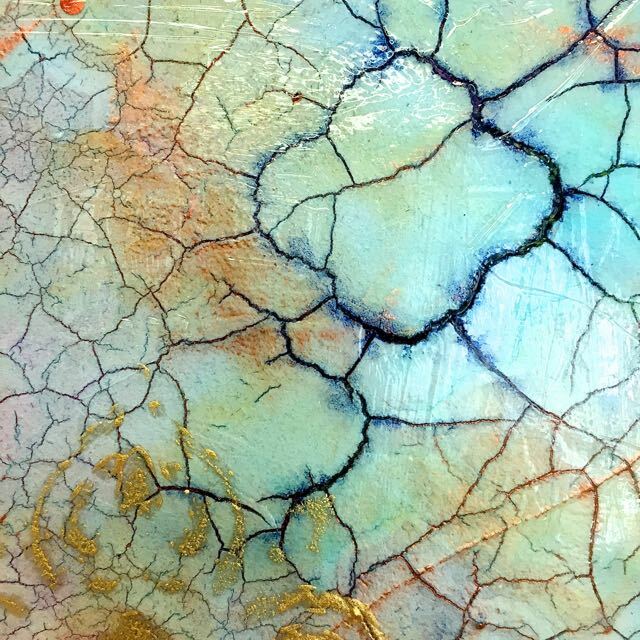 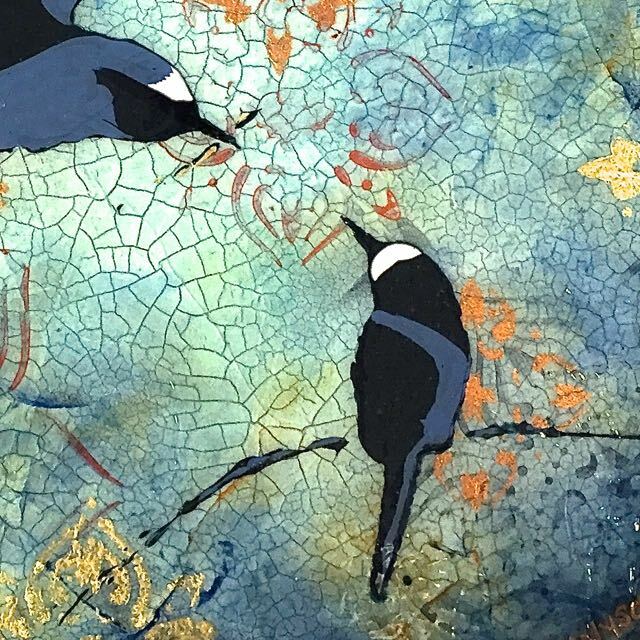 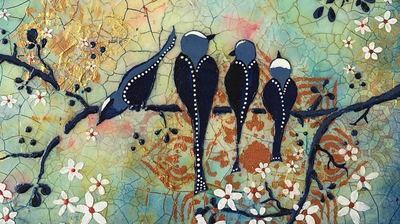 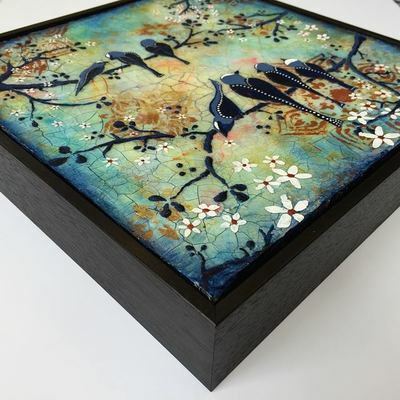 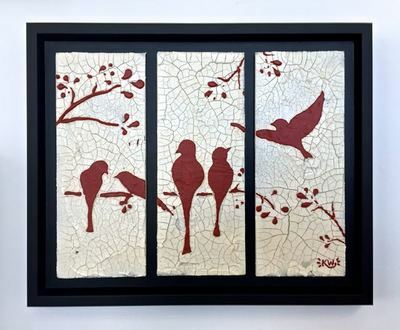 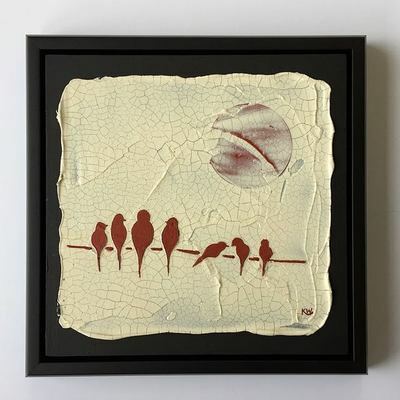 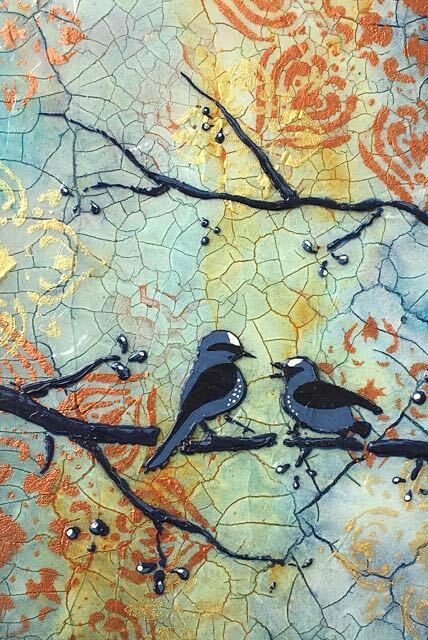 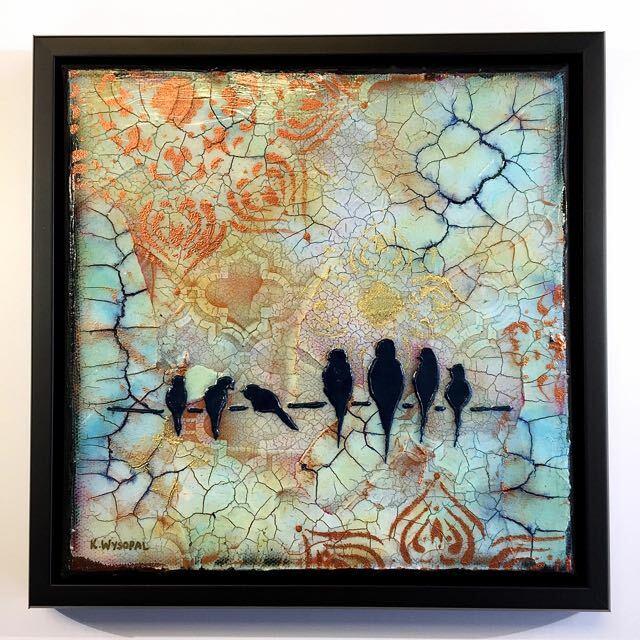 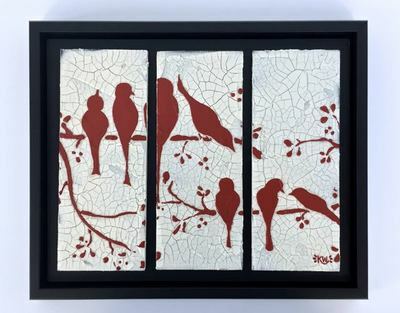 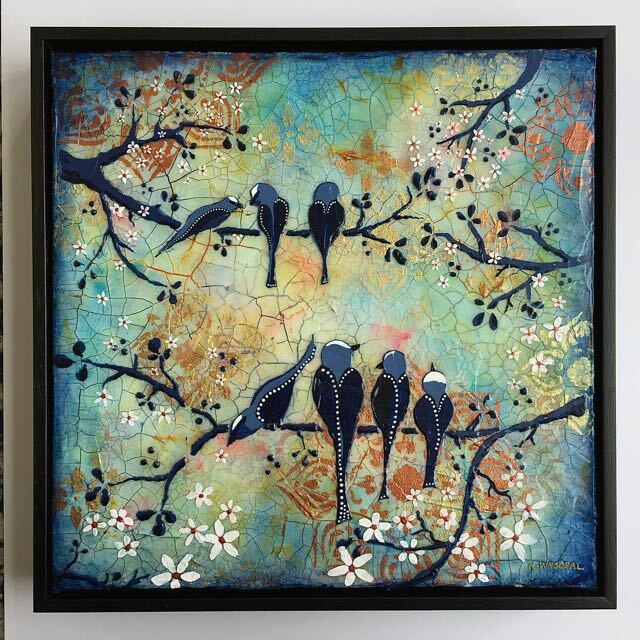 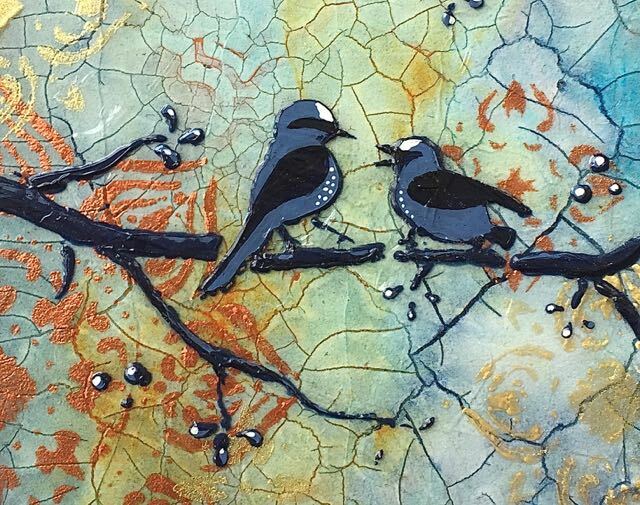 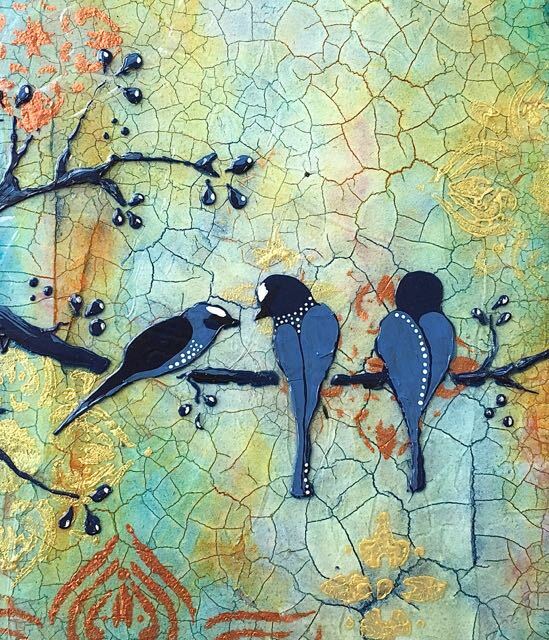 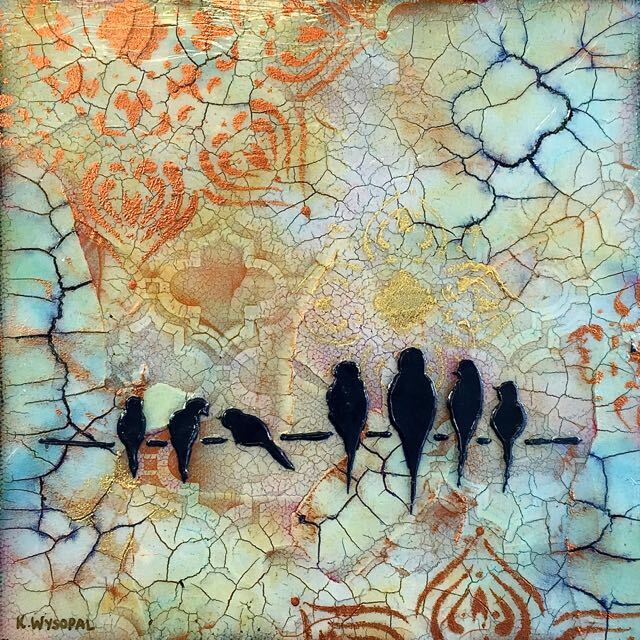 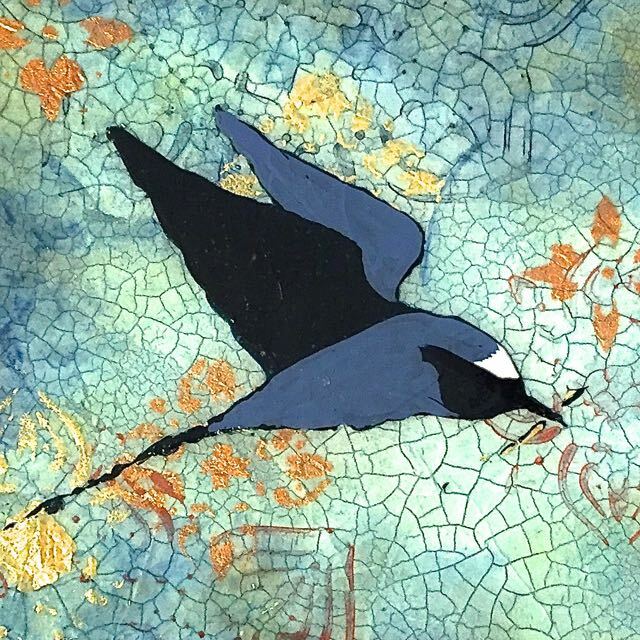 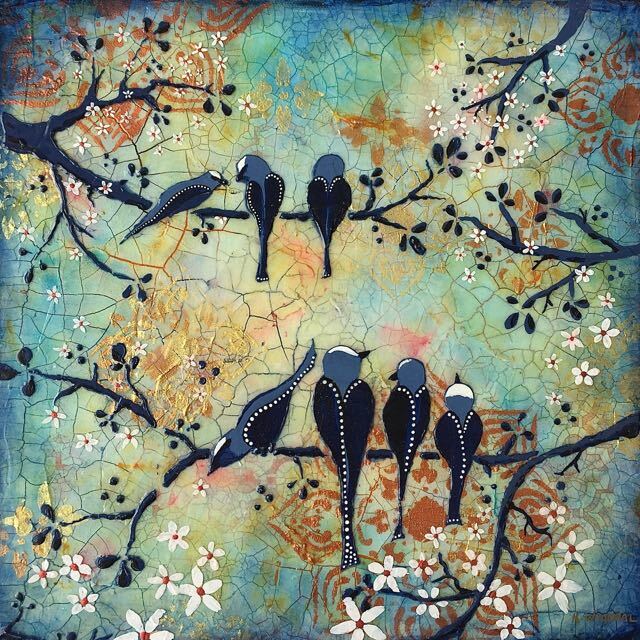 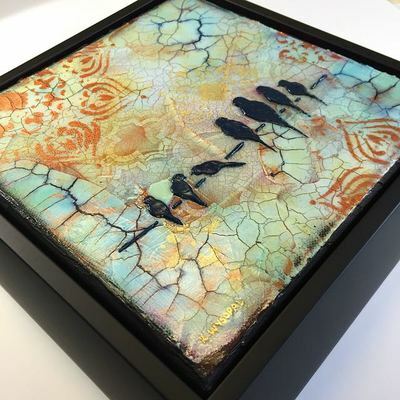 Artwork in the "Crackle Birds" series is created using multiple layers of acrylic paints, glazes, and mediums. Acrylic "crackle paste" creates the crackled background appearance. 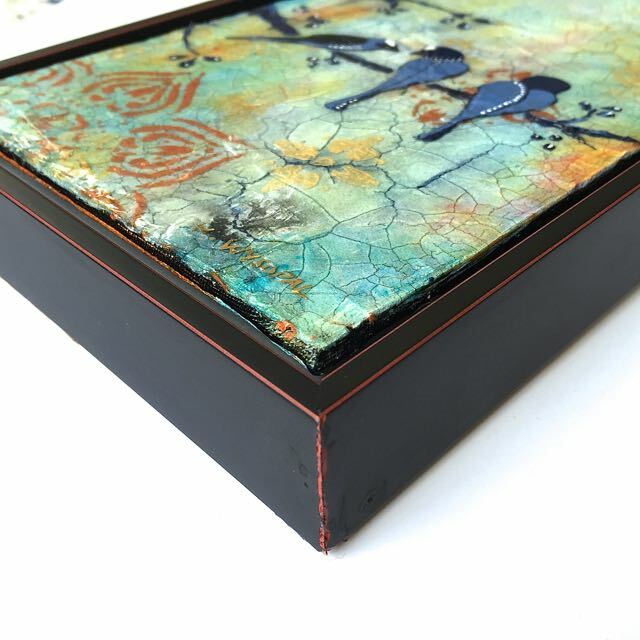 Molding paste creates raised stenciled areas both on the surface, and deep in the bottom layer. These give the painting rich depth and texture. The birds are made using my own stencils, then painted to give each a unique appearance throughout the series. Sizes range from 8"x8" to 20"x24" and are painted on canvas or wood. A few still available! 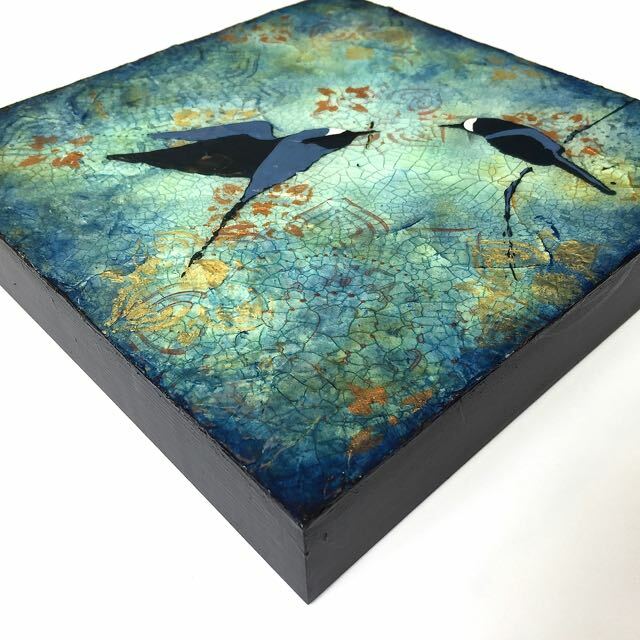 If it's not listed in the Shop, email me for more info.